It seems like the annual ASIFA east animation always ushers in springtime in NYC. The weathers’ always beautiful and its a great excuse to wear casual summer wear. This year I was notified that our studio was winning two prizes. 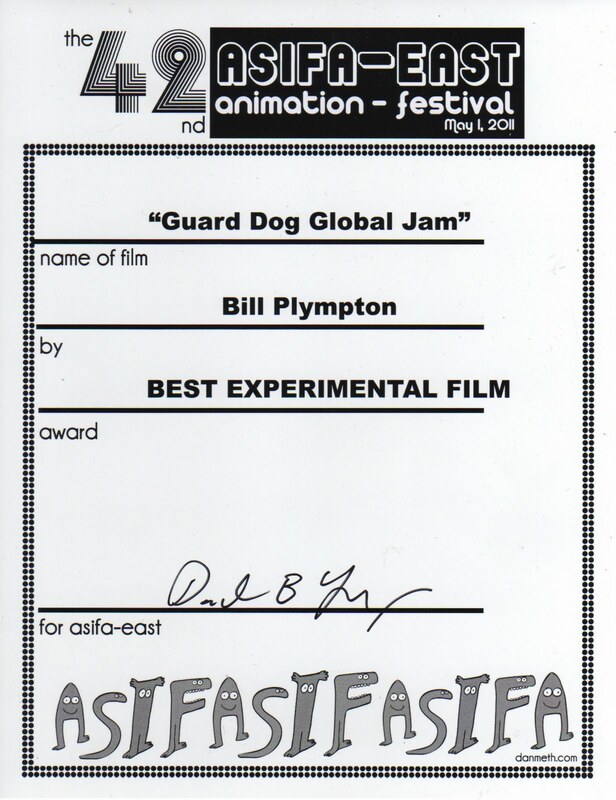 “Catalyst” in the commercial category and “Guard Dog Global Jam” in the experimental category. 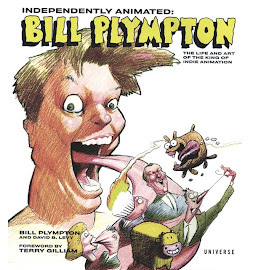 Imagine Bill Plympton in the experimental category! 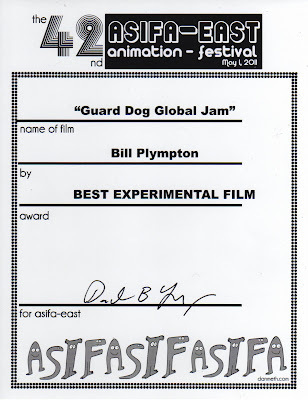 Not only that, but some of the best films were in the experimental section. 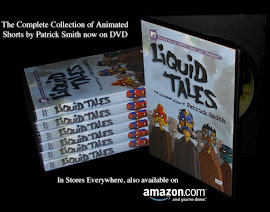 New films by Karen Aqua, Janet Perlman and Brett Thompson. After the ceremonies were concluded and all the films were screened we all retired upstairs at the New School and had food and drinks generously served by Nancy and Jennifer and we gossiped about which films received prizes and which films didn't. Fortunately no one hated my film (at least not to my face). Although I heard some nasty gossip about some other winning films (no names). I introduced myself to Jane Wu, who did the charming award winner, “Book Girl and Cabinet Girl”! I got very drunk and started ranking on the winners.... No I'm kidding. Actually all the winners were pretty good. Even my Scribble partner Pat Smith won a prize for his excellent “Masks”. So next year be sure to enter your short to ASIFA East or at least come to the party - it's a Blast! hooray for the 180 artists! The award has to be the least attractive award ever. What happened to the great etching of ships in NY harbor?